Arizona and USC are Final Four contenders, but the FBI's investigation will hang over both Pac-12 programs. After a period of mediocre basketball, the Pac-12 has made a resurgence over the last three seasons. The conference ended an eight-year Final Four drought last year when Oregon broke through — and fell just shy of upsetting national champion North Carolina in the national semifinal. In 2017-18, the Pac-12 has two teams with legitimate hopes to reach college basketball’s biggest stage in San Antonio. Arizona could start the year ranked No. 1, and USC should have a spot in the top 15. On paper, the Pac-12 should have another epic conference title race on its hands. 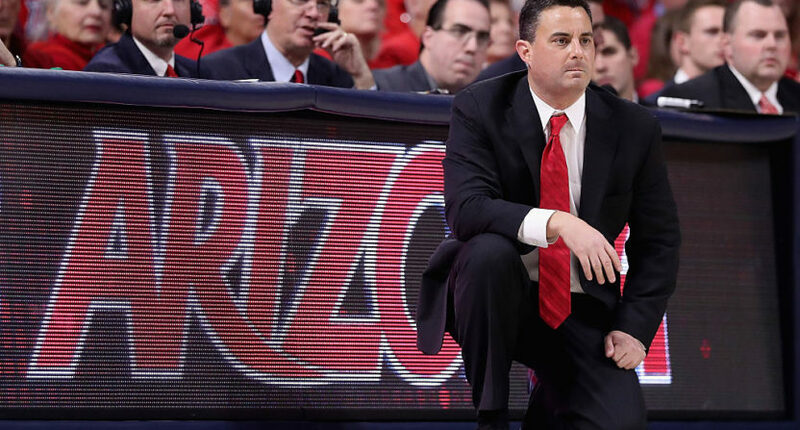 But even before the start of the season, the title race has lost some of its luster with Arizona and USC being named in the FBI’s investigation into corruption in college basketball. The investigation has already brought the end of an era at Louisville and could undo the modest progress Auburn has made in recent years. We’ll see if the FBI’s allegations lead to any NCAA sanctions for Arizona and USC. Even if one or both of these schools get punished, who knows how quickly the process will move along. But until Arizona and USC are cleared, the FBI’s investigation will hang over both of them, and consequently the entire Pac-12, as they compete for the conference title. Despite losing leading scorer Bennie Boatwright for two months in the middle of the season, USC snuck into the First Four and won a pair of postseason games before falling to Baylor, 82-78, in the second round. The Trojans bring back their entire rotation while adding Duke transfer Derryck Thornton Jr. and five-star guard Charles O’Bannon Jr, which means coach Andy Enfield has a chance to deliver the program’s first Pac-12 title since 1985. Arizona leading scorer Allonzo Trier didn’t play until late January, but the Wildcats earned a share of the Pac-12 title anyway and came a last-second shot away from reaching the Elite Eight. They return three starters and add one of the nation’s top recruits in DeAndre Ayton. Between both programs, we could see a combined seven draft picks next June depending on who goes pro. But no matter the quality of the on-court product, the off-court questions will linger. On top of that, players could lose their eligibility. The FBI’s complaint alleged that assistant coach Book Richardson paid a $20,000 bribe to an unnamed recruit believed to be 2018 five-star point guard, Jahvon Quinerly, who committed to Arizona in August. Quinerly has already hired a lawyer, further clouding his future with the Wildcats and NCAA hoops. While that allegation doesn’t pertain to the current roster, the FBI also believes Richardson had been steering Arizona players toward sports agent Christian Dawkins and financial manager Munish Sood. In regards to USC, the complaint alleged assistant coach Tony Bland had steered two players, an incoming freshman and a rising sophomore, to Dawkins and Sood. Along with O’Bannon, who figures to play a prominent role on this year’s team, USC has two other freshmen: small forward Jordan Usher and center Victor Uyaelunmo. The team’s three sophomores — De’Anthony Melton, Jonah Mathews and Nick Rakocevic — all played key roles as freshmen last year. Melton started 25 games, averaging 8.3 points and 3.5 assists. If the college basketball gods are kind, hopefully eligibility will somehow be a non-issue. With full rosters, these two teams are loaded. And they’re fun to watch as well with high-powered offenses fueled by multiple playmakers. But even in a best-case scenario, the FBI investigation will still overshadow two Final Four contenders going toe-to-toe, one being a perennial powerhouse and the other looking for its first conference title in over 30 years. In any other year, that would be an amazing storyline to latch onto. This year, it will almost be an afterthought.